As a parent, you want what is best for your children. You want them to grow up and become better than you. To live a life that is good, healthy and happy. This journey starts from infancy. By making the right choice when it comes to your baby’s toys and accessories you can help shape their future. Yet, that can often be easier said than done. The market is flooded with toys, and prices that seem to grow every week. How do you know if you are making the right choice? How can you be sure you are not buying a toy that will stunt or not enable your baby’s development. Well, keep reading, because in the coming paragraphs we are going to look at the best smart baby toys. We want to help you give your baby a brighter tomorrow, today. 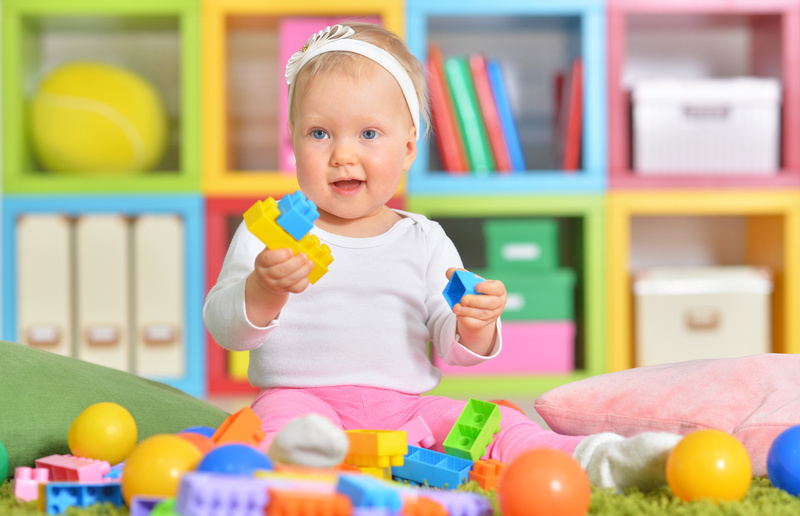 When it comes finding a great gift that will make your baby smarter, building blocks are a great choice. Not only are they widely available, but they are a highly versatile toy that can be suitable for multiple age ranges. This is great for encouraging interplay between your children. On top of that, their abundance makes them a great gift if you are living on a budget. Another classic baby toy that you can invest in is an abacus. Teach your children how to count and solve basic maths sums from an early age with this timeless teaching toy. Buying wooden toys, or juguetes de madera is perfect because their hardwearing nature is ideal for intensive use. If there is one thing a smarter baby toy needs to be, it is durable. Another wonderful toy option for promoting and nurturing a smarter baby are shape sorting toys. There are hundreds upon hundreds of options for you to choose from, and while the basis of each is the same, the variation will keep your child engaged while developing an unshakable intelligence. Repetition is a fundamental part of learning in small children, and so by offering multiple shape sorting toys, you are stimulating development. 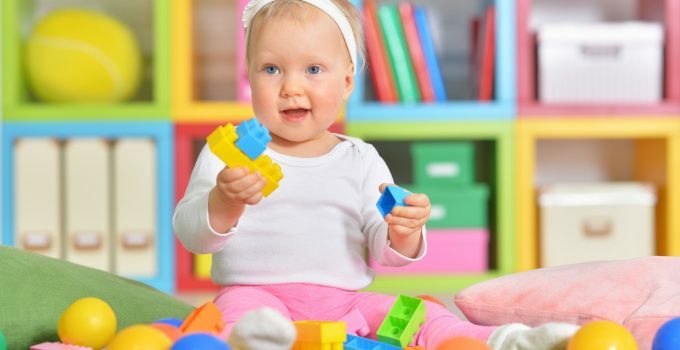 When thinking about how to make your baby smart, there is a logic behind looking at toys that develop their IQ alone, but social skills and interaction is a crucial element behind intelligence. Toys like a play kitchen or grocery store will stimulate both emotional and intellectual intelligence, as well or increasing your child’s skills at social interaction. A box of crayons is a wonderful gift for any child. Allowing them the emotional freedom to explore their own creativity from a young age is beneficial for their development. Crayons allow your child to develop their coordination skills, as well as craft the ability to accurately express through a meidum other than speech. If you want to make your baby smarter, then nurturing their artistic side is a great way to go. Any toy you buy your child should be well considered. Their development is so rapid at such a young age, making the right choice is imperative. It is also almost too easy at times, meaning you may find it hard to decide which smart baby toys would serve you best. The trick is to trust your gut. You know your child; their likes and interests. Nurture them and provide them with a loving home to develop themselves and any choice you make will be the right one. Check out some of our other posts for more advice on children and raising a family. 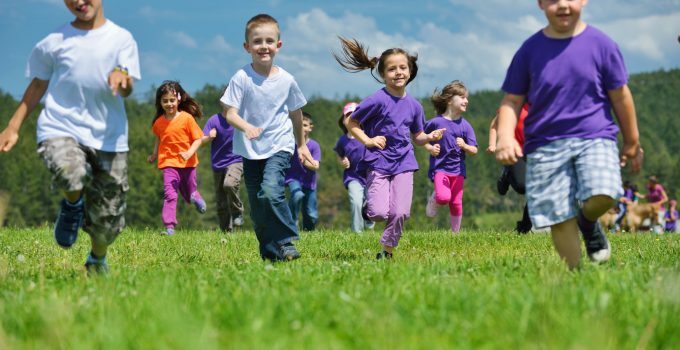 How much physical activity do your children get? Nowadays, children are more interested in the screens on their iPads than the outdoors. This means that parents have to take a greater role to encourage children to be active. But helping kids to be active doesn’t have to include expensive vacations abroad to do adventure activities. You don’t have to pay the costly membership fees of sports clubs to get your children fit and healthy. Instead, there are many inexpensive ways of getting your kids to be active. Physical activity is not only fun but it’s an important part of a healthy and happy life. According to the Centers for Disease Control and Prevention (CDC), children should have at least one hour of physical activity every day. 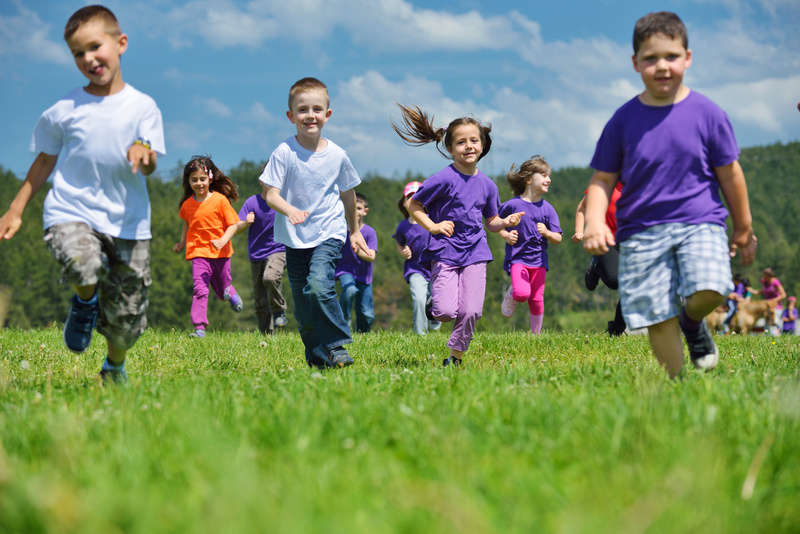 Keep reading for our 10 ways to get your kids to be active without breaking the bank. What is more simple and pleasant than a walk? Many people choose to drive when they could just walk. Getting your children to be active involves thinking differently. Walk to Pukekohe High School. Walk to the local park. Walk to the cinema to see a movie. You can also get chores done at the same time. Maybe you can suggest your children take the dog for a walk or deliver a letter to the postbox. Do you live in a location surrounded by hills or mountains and lakes or rivers? If walking to places isn’t enough physical activity for your kids, you could get your kids to try hiking instead. This can be a great way to spend time together as a family. At the end of the hike, reward yourself and the kids with a picnic in the park. Is there any children’s game as timeless as hide and seek. Every generation of children has enjoyed playing the classic game. Your kids won’t even think of the physical activity when they’re distracted by the seeking and hiding. The best thing about hide and seek is that it involves being active and resting. With all this activity, rest is always good for kids. Anyone who has spent a couple of hours in the garden will know how hard work gardening is. Don’t slave away in the garden pulling up weeds while your kids stay inside playing on iPads. Getting kids to help out is a great way to be active. Kids could also find that they enjoy planting beautiful and colorful flowers and digging up weeds to throw away. Creating a scavenger hunt for kids is a great way to get them moving. All you have to do is to think of some things to hide for the kids to find. It could be a lamppost, a gate or a park bench. Spread the hunt out around the neighborhood to get the kids walking even more. Remember the days when kids used to spend hours and hours on the streets with a jumping rope? Buying a jump rope is only a few dollars. But it can bring endless fun and activity for kids. Another great thing about jump ropes is that they can be played alone and in groups. Sunshine and warm weather always goes well with physical activity. There’s nothing more fun when you’re a kid than playing in the sprinklers in the yard on the summer day. If it’s a hot day, get your kids to put on their bathing suits and turn on the sprinkler. Jumping and playing in the water will keep them healthy and happy. It also means that the grass gets a water too. There a few joys like riding a bike. While learning to ride a bike as a kid can be difficult at first, once you get the hang of it, you never forget how to ride. Encourage your kids to get out on their bikes. While racing around the park is a lot of fun, it’s important they always keep safety in mind too. Make sure they know the rules of the road. Don’t forget to remind them to put on a helmet. Have you ever looked out the window of your house and seen the family car covered in leaves and dirt? Cleaning the car is a chore that requires as much energy as it does soap and water. Ask your kids to give the car a wash. All that scrubbing and rinsing is a great way to be active. They might ask you what’s in it for them. If exercise isn’t enough of an answer, promise a reward, such as a trip to the movies. You don’t have to join a club or a team to play sports. Your kids can start straight away with the rest of the kids in the neighborhood. You can play baseball or basketball in teams. Or just play kickball or soccer in the park. Being outside with friends and playing sport is a great way for your kids to be active. Physical activity is an important part of having a fun, healthy and happy childhood. But with so many other distractions, your kids need you to encourage them to go outdoors and have fun. There are so many ways to be active that your kids have no excuses. While exercise is always great, don’t forget to remind your kids to stay safe and drink plenty of water. Check out our blog for more about happy and healthy lifestyles. You’ve finally made it. It’s 5 o’clock on Friday and you’re about to take the family on a summer vacation they’ll never forget. 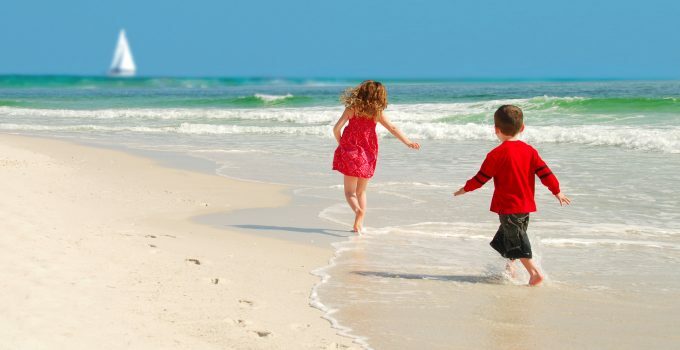 Myrtle Beach for kids is the right choice for all the reasons you’d imagine. You’ve got the sunny shores of the beach for some R&R, plenty of amusement and water parks for the kiddos, mini golf to keep Dad on his toes, and restaurants galore. Now that everybody’s bags are packed, it’s time to decide where you’ll head first. Our love for South Carolina is never ending, so we’re simply over the moon to share our top picks with you. Away we go! A water park is a pretty spectacular way to spend the afternoon with the kiddos. But, a water park on the ocean? Now, we’re talking. Family Kingdom combines the joys of an amusement park and a water park. You’ve got a classic wooden roller coaster, log flumes, bumper cars, carousels, and so much more. When everybody’s tuckered out, take in that ocean view with your hot dogs and cotton candy in hand. Depending on the age (and enthusiasm) of your kids, you might want to take them out parasailing. Perhaps Dad can go up with one and you can go up with the other? It’s quite a view, soaring through the horizon at the end of a lovely day. We always encourage our kids to spread their wings and fly. 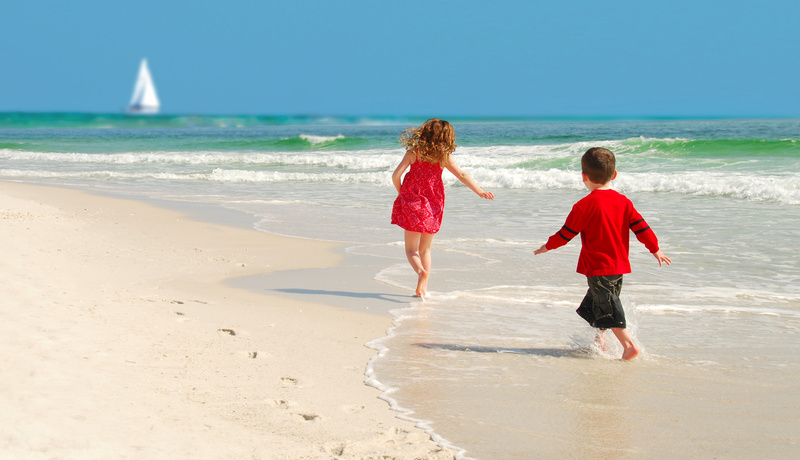 Why not give them a tiny taste, Myrtle Beach for kids style? Is anyone a fan of pirate ships and treasure chests? How about you really dive into the tales of long ago in a miniature golf course that boasts two 18-hole courses and one 15-foot smoking skull. You might want to leave the door open in your hotel suite that night! Alas, the laughter and memories of a night spent at Captain Hook’s will be well worth the lost sleep. Any budding marine biologists in the family? How’d you like to take them for a walk along a 330-foot path that takes you through flowing reefs, underneath the tails of sharks, and alongside a family of stingrays? Ripley’s Aquarium is as close to being one with The Little Mermaid as we may ever be! We’ve all seen those wax figures that look realistic enough to strike up a conversation. That alone will makes Hollywood Wax Museum a lot of fun. But our personal favorite is Hannah’s Maze of Mirrors. Get ready to giggle and run as you help the kiddos find their way through a maze of mirrors. 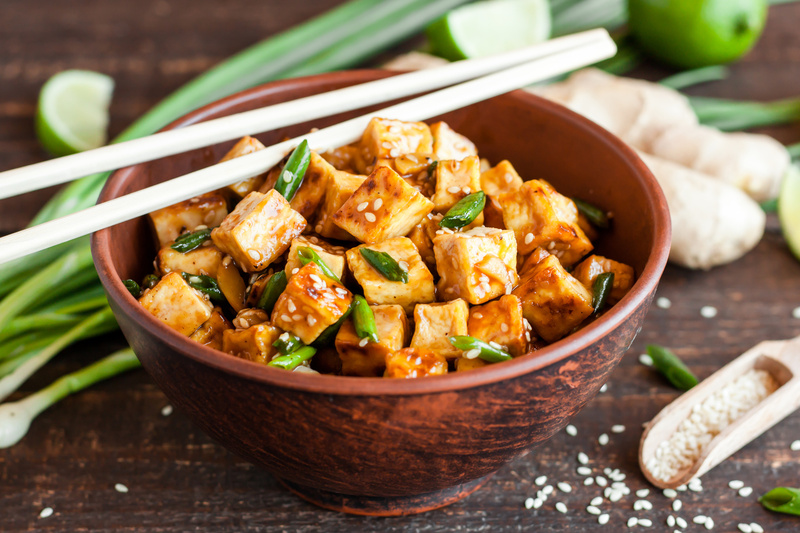 We have to share one of our guilty pleasures with you. Whenever we’re missing the waves of Myrtle Beach, we go online and daydream about owning our very own Myrtle Beach condo someday. Myrtle Beach holds such special memories that we often wonder what it would be like to have a second home on those sandy shores. Until then, dream on, dreamers! Here at Thrifty Momma Ramblings, we love to gather all the latest tips and tricks for your family and home. And if you’re looking for a way to spend more time at home with your family, visit our blog for all the latest and greatest on earning money right from the comfort of your beautiful home. Safe travels to you and yours! 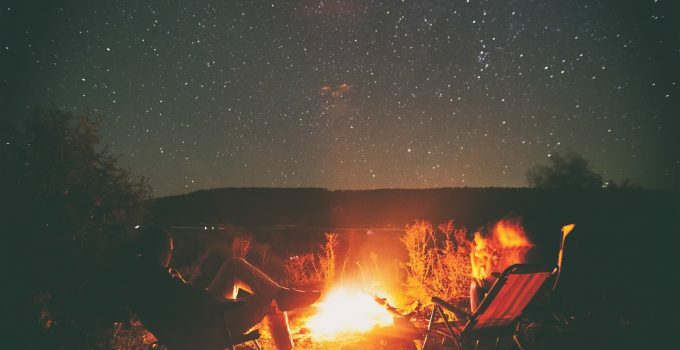 Sometimes an adventure camp offers an opportunity to break away from the daily grind. It also provides all sorts of opportunities and possibilities that families can enjoy together. So, if you’re planning for some family adventure, don’t believe for a second that you’re throwing money down the drain. Outdoor activities offer a way to share a new story, connect, and experience the wonder of nature. Here are five reasons why your money is well-spent when you go for an adventure. As a parent, taking your kids to an adventure camp offers them an opportunity to acquire and develop new skills. Activities, such as boating trips, rock climbing, canoeing, caving, and backpacking offer your children something new to learn and also help them build confidence. Since they engage in these outdoor activities almost every day of the camp, they’re able to build confidence and experience a personal transformation that generally improves their life. The more kids get out there, the more they learn. With today’s hard-pressed lifestyle, finding time for your kids and family can be difficult. Thanks to adventures, you’re able to engage in real interactions with kids and enjoy some quality time together. A camp offers the time to make up for any unavailability. You’ll be surprised to see how your kids open up and talk about their lives when they have your total concentration. The truth is, some life experiences tend to push you into a corner. When that is coupled with your daily job stress it can wreck your life. An adventure gives you time to reflect on your life. You’re able to engage in something that you love and take your mind off life issues. Plus, it gives you a fresh and positive mindset to handle challenges in the right way. This is the time to develop an optimistic attitude, plan your life, and re-evaluate choices. As you already know, work and school take lots of time. People hardly find time to interact with new people in an entirely different occasion or situation anymore. An adventure camp gives you and your kids time and opportunity to interact with new people. A simple thing like asking another camper for help setting up the tent can spark constructive and productive conversations. The social benefits are broad and far-reaching, especially for kids. A camps sleepaway sets a new course in their development that hopefully helps them communicate effectively and exercise teamwork. With today’s environment, parents tend to be overprotective of their kids. One disadvantage of overprotection is that it denies teens an opportunity to make their own decisions and be responsible. Allowing your teens to attend a summer adventure camp helps them to be independent. They’re able to explore and exploit their personal strengths to grow into responsible adults. Being alone can empower them in ways you can’t imagine. An adventure usually offers a challenging and exciting experience. The benefits you and your family will enjoy after the camp will make each dime spent well worth it. It will help to forge new relationships and support social development of kids. They will also experience extraordinary changes and learn lifelong lessons. 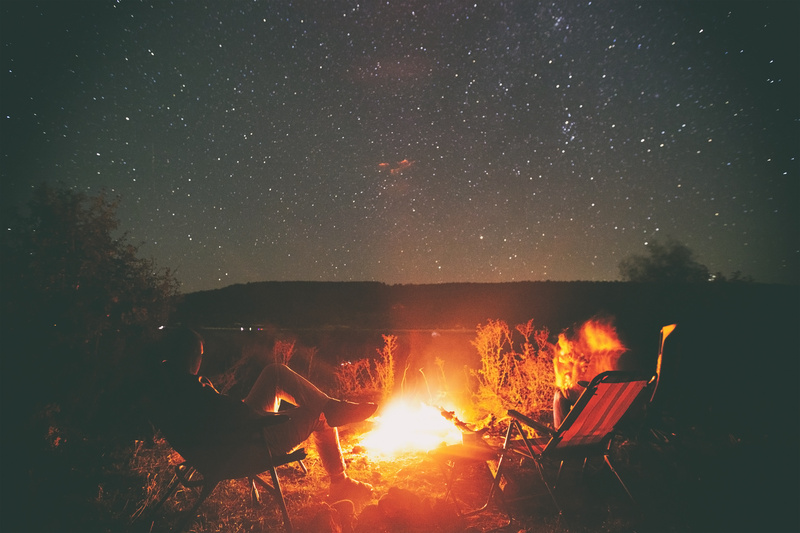 Do you have any thoughts on the adventure of camping? Share with us in the comments!